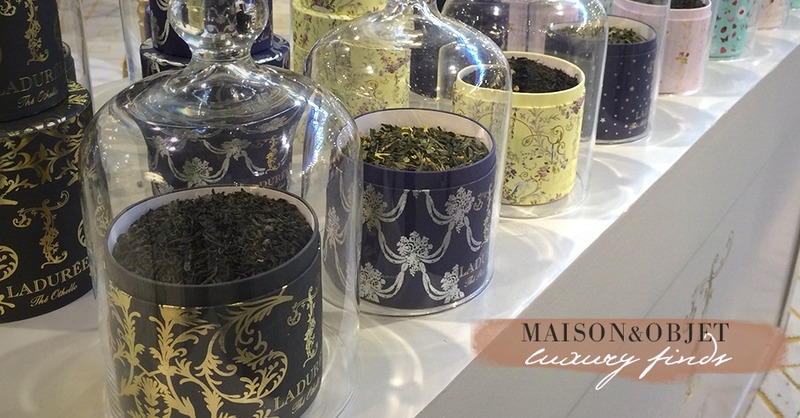 I just returned from a whirlwind week of sourcing in and around Provence’s treasure, Isle sur la Sorgue, with my partner in Style, Adi, and then headed straight off to Paris for Maison&Objet to be completely inspired. 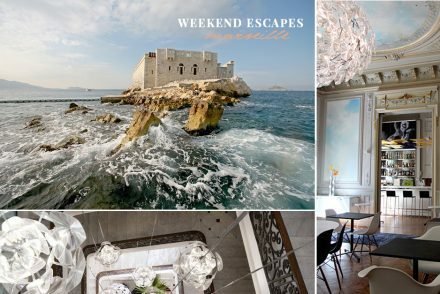 Talk about a designer’s dream week in France! I will share some of our gorgeous finds, photos and favorite stops from our antique and luxury shopping trail here on the blog, so please stay tuned. 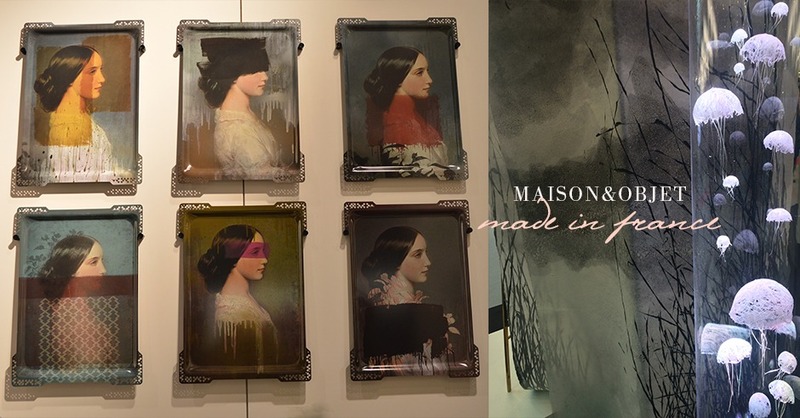 For now, I’m posting a few visual highlights, inspiration and trends I adored from my time at Maison&Objet Paris, such as the Atelier of Creation brand Ibride, behind this fabulous galerie of modern vintage portraits (above left). 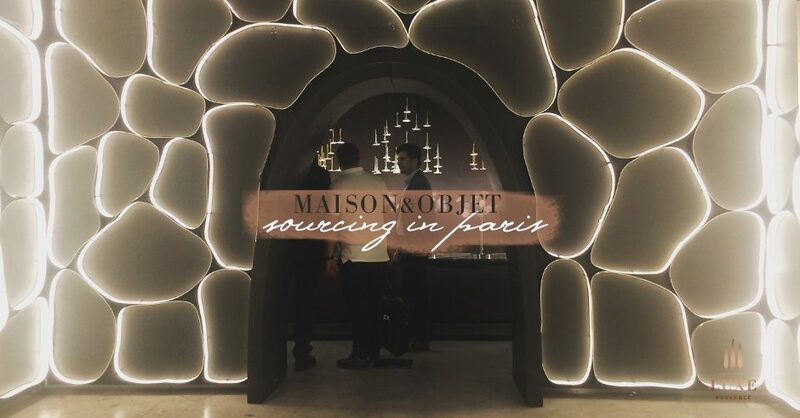 While Maison&Objet includes designers and brands from around the world, we focused our time discovering luxury products and artisanal objects Made in France. 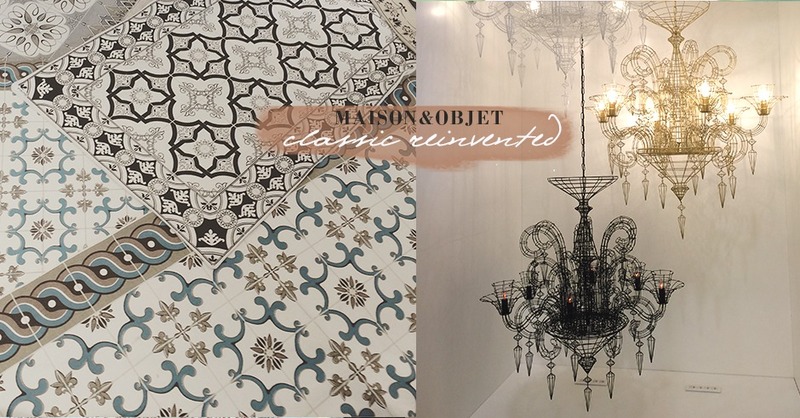 We are so pleased to have discovered a new inspiring product line to include as the final element in our spring Luxe Provence Box curation. Our V3 Celebrating Springtime in Provence parcel is now on pre-sale, so be sure to reserve yours soon. This is a very special, limited edition curation and they will certainly sell out quickly. I have found myself completely in love with the modern, organic pottery that is very on-trend at the moment. In fact, Rebecca has inspired me to join her in to experiment with our own creations in a local Provence pottery class which has been wonderful. 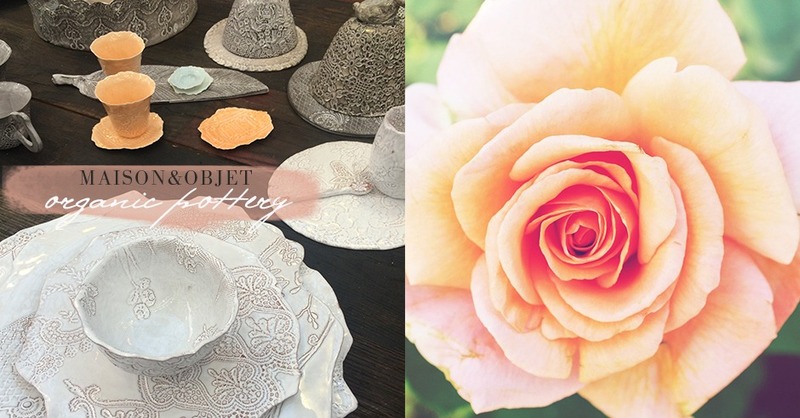 I was not disappointed to see several great examples of fine art caliber pottery design, such as these beautiful, nature inspired tablescape pieces below. Classic French objects and patterns were reinvented throughout the show, by the use of modern applications and materials, from these lovely cotton rugs sporting classic floor tile patterns from a new Saint Tropez brand we hope to work with soon, to these ultra-luxe wire chandeliers that incorporate “flickering” ambient candle light. 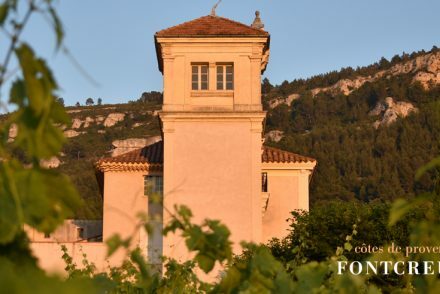 We are pleased to announce that Luxe Provence will be adding in a new luxury, custom curation and sourcing service designed for discerning clients and luxury retailers who are looking for that special “je ne sais quoi” French product, artisan gift, antique treasure or curated experience shipped exclusively on-demand from France to you. More details to be revealed soon. Contact us to learn more.